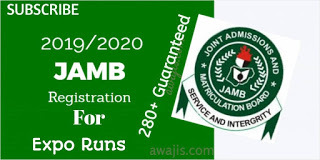 WAEC GCE Commerce Obj And Essay/Theory Solution Questions and Answer – JAN/FEB 2018 Expo Runz. Commodities exchanges usually trade futures contracts on commodities, such as trading contracts to receive something, say corn, in a certain month. i) Commodity exchanges are generally utilised for wholesale dealings in agricultural commodities or the products of some important primary industries like lumbering. iii)As organised markets commodity exchanges establish and enforce rules and regulations with a view to facilitating trade on sound lines. Problems of Double Coincidence of wants: This means looking for someone who is in need of what you have and at the same time has what you need. This can amount to a very serious problem. No Fixed rate of Exchange: There is the problem of exchange rate determination between two products. Different rates of exchange have to be determined to cover every transaction before it can take place, e.g. How much of apples can you exchange for a cup of Rice. Wastage of Time and Effort: Barter system leads to waste of time and energy because one has to search for somebody to exchange the goods with. Problems of Indivisibility: Many goods cannot be divided into small convenient units because they are heavy and indivisible so it does not encourage divisibility. Problems Created by Bulkiness of some Goods: Some of the good to be exchanged are so bulky that one finds it difficult to carry them about. No Room for Deferred Payment: In Trade by Barter, there is no room for deferred payment. One cannot collect certain goods and hope to pay another day. Barter requires immediate settlement. It Discourages Borrowing and Lending: Borrowing and lending under trade by barter is practically impossible as there is no standard unit of measurement. It Discourages Large Scale Production:As a result of the difficulties in the system of exchange by barter, it therefore leads to people producing goods only for themselves and that of their immediate family. In other words, Trade by barter encourages self sufficiency hence it limits specialization of labour. Difficulty in Storing Wealth: The barter system, unlike money does not encourage storage of wealth. It is difficult to store wealth or value, especially where perishable goods like fresh tomatoes and onions are involved. programs allow businesses to create reports, memos, tutorials and even colorful ads for company events. ii)Education: Businesses use computers to help educate employees on software, company policy, standard procedures and safety. Instead of hiring teachers, computers can be used to educate employees at their own pace or through an online webinar with live questions and answers. This form of education fits the busy schedules of businesses without sacrificing the quality of the education. computers. Search engines, forums, social networks and industry specific websites provide businesses with a wealth of information and research data. ​v)Accounting: Accounting without computers presents a high risk for human error. Accounting software allows businesses to simply input their financial data and instantly see gains and losses. All necessary tax reports are available the moment the data is entered. Using computers for invoicing, managing expenses and calculating payroll is vital for ensuring financial data is as accurate as possible. Survival – a short term objective, probably for small business just starting out, or when a new firm enters the market or at a time of crisis. iv)Innovation is the invention, improvement, and commercialization of new products, processes, and services. Innovation is the primary driver of U.S. competitiveness, wage and job growth. of hard currency. ... They were generally used by people on vacation in foreign countries instead of cash, as many businesses used to accept traveler's cheques as currency. Verified WAEC GCE 2018 Jan/Feb Commerce OBJ and Essay Answer and Solution to the questions. 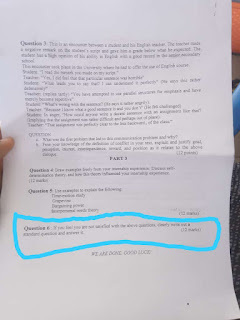 0 Response to "WAEC GCE 2018 Commerce Obj And Essay Answer – Jan/Feb Expo"